What is this 'Stories' tab all about? Well, you can add your short stories about your experiences as a young person in the mountains. You can add pictures or even videos to go with your story. Junior Parliament 2015 was fantastic! Thank you to Blue Mountains City Council for sponsoring me to go - I had such a great time and learned so much about the state parliament process. It was great to meet so many people my age who were interested in how NSW State Parliament works and I made some great friends. I was in the Sport and Recreation Committee and we debated ways to tackle NSW's child obesity levels by introducing compulsory sport into schools as a subject. Our bill was passed with amendments. 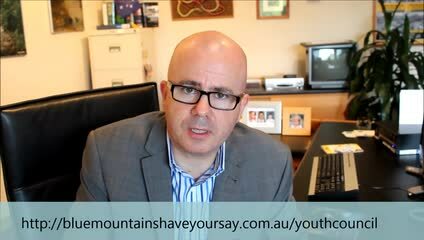 My reasoning for joining youth council was to express my views and thoughts and to help others build and realise theirs, as well as acting as a representative of youth across the mountains. On top of all that, I wanted to become more involved in society and to gain skills which I'd otherwise won't be able to get elsewhere. It's been really special to grow up in the mountains and around the bush and I have lots of memories and experiences of going for bush walks, finding caves and climbing across fallen trees. We were always playing outdoors and rarely wanted to come inside. I remember playing in the bush and how exciting it was to explore the bush near my grandmother's house in Blaxland. I would look for animals (but avoid snakes), play hide and seek with the neighbours' kids, paint with clay on the rocks and generally walk along the paths. The best thing was to feel a part of the natural surroundings. I also enjoyed going to the Blaxland East shops to buy lollies! Sometimes I went with my grandmother to the Blaxland East Public School where she worked. There was a friendly and accepting community atmosphere there. I have just returned home from a week of debating bills andamendments at YMCA NSW Youth Parliament. It was a fantastic week full of inspiration, important issues from our communities and fun. I furthered my knowledge from Junior Parliament last year and became more confident in public speaking and more informed of matters from all over NSW. My committee, Rural and Regional Affairs, passed our bill on CoalRail Transportation, in both the Legislative Assembly and the LegislativeCouncil with very little opposition. We were all very happy and at the end of the week our committee won an award for innovation!